I read an informative blog post this morning by Lori Hiscock, a senior loan officer at Ruoff Home Mortgage, entitled Why FHA Buyers Should Buy Now. Options for FHA buyers - Strengthen credit, income or down payment and go with Conventional Loan, buy now or explore other loan options. It's a good article. Give me a call if you have any questions or are looking to take your next step toward buying a home. I'm happy to help. Why Have Rates Moved Higher? I received this email from Jane Koebel. She is a senior loan officer from Hallmark Home Mortgage. After reaching record lows near the end of July, mortgage rates have moved steadily higher this month, and the trend accelerated this week. 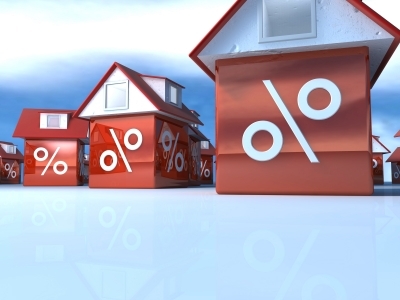 While the US economic data was roughly neutral and there was little news out of Europe, mortgage rates continued to rise. Prior to July 26, two primary factors were responsible for the decline to record low mortgage rates. First, the European debt troubles caused investors to shift to relatively safer assets, including US mortgage-backed securities (MBS), and mortgage rates are largely determined by MBS prices. Second, slower economic growth reduced inflationary pressures and supported low mortgage rates. While the troubles in Europe and sluggish growth rates are likely to remain for quite a while, what changed is that investor expectations on both fronts have improved this month. On July 26, the President of the European Central Bank (ECB) declared that the ECB will do "whatever it takes" to preserve the European Union (EU), and Germany's Chancellor made similar comments this week. This raised expectations that the ECB will provide additional aid and help prevent the debt troubles from spreading. As a result, investors have partially reversed the flight to safety trade, lifting stocks and hurting mortgage rates. The stronger than expected July Employment report released on August 3, this week's Retail Sales report, and improving housing sector data have raised the outlook for US economic growth. In typical fashion, as expectations have improved, mortgage rates have moved higher. For more information, contact a HomePath Mortgage lender or click here for the Home Buyers Guide.